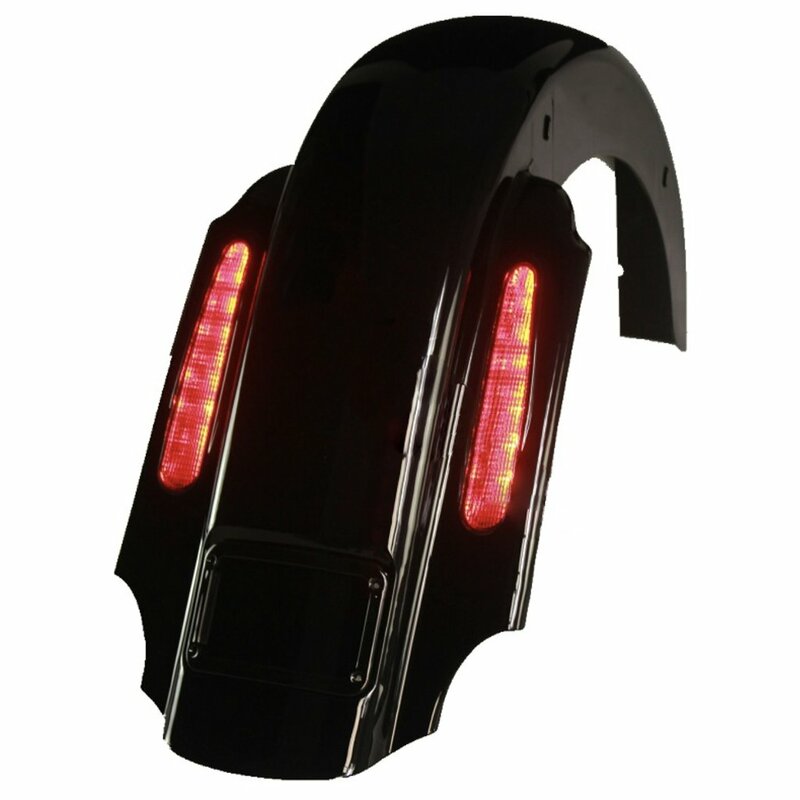 Complete that bagger look with our 4" stretched CVO style rear fender replacement. Featuring integrated LED running/brake lights and turn indicators, this custom kit keeps the back of your bike looking clean and smoothly blends the rear fender into your saddlebags. Made of high strength ABS. Includes CVO style lights with smoked lenses. Fits 1997-2008 touring model Harley Davidson motorcycles (Street Glide, Road King, Electra/Ultra, Road Glide). We also offer a CVO fender for the 2009-2018 Harley touring models here.